Prospective clients are offered a no obligation, free initial consultation. Simply contact Gary to arrange an appointment to meet at your home, site or premises to discuss your project. If you prefer, the initial consultation can take place in Gary's office. 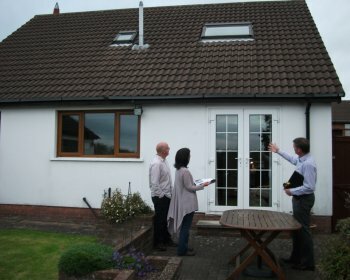 This initial meeting can prove very useful as it not only helps Gary appreciate your specific requirements, but may also get you 'thinking outside the box' and exploring interesting possibilities for your extension, refurbishment or new-build project. Following the consultation, Gary will write a letter confirming the professional architectural services being offered and the fees associated with each stage of your project. Should the terms and conditions be acceptable it is simply a matter of completing and returning the response form included with the letter to formally commission Streams Architectural Design.